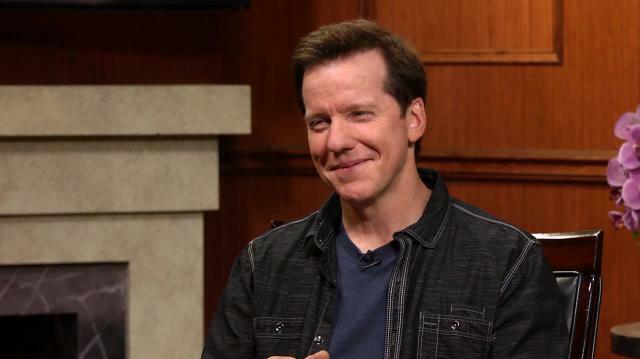 Master ventriloquist Jeff Dunham gives his take on the recent controversies surrounding fellow comedians Bill Maher and Kathy Griffin, and discusses what he feels is the appropriate level of political correctness as a stand-up. Larry King: You also push the limits. You’ve said, “I’ve skewered whites, blacks, Hispanics, Christians, Jews, Muslims, gays, straights, rednecks, the elderly, and my wife. As a stand-up comic, it’s my job to make sure the majority of people laugh, and I believe comedy is the last true form of free speech.” Do you know no bounds, or do you have bounds? Jeff Dunham: Oh no I think every good comic, you know your limits. You know how far you can push. That quote is pretty old. I pretty much stand pretty much by then. But the world has changed since I said that. And everybody’s so worried about being politically correct. So if you want your career to keep going, you have to know your limits. Larry King: You can’t have a Bill Maher night? Larry King: But why do wise people—Kathy Griffin’s smart, Bill Maher’s extremely smart—they’re both friends of mine, what happens? Jeff Dunham: Yeah, if he could’ve taken it back he probably would have. But I think every good comic knows his limits. You know your audience, you know how far you can push it, and to me, if you’re offending a small percentage of your audience, 3, 4, 5 percent, you’re probably pushing it just the right amount. Because what those people are offended at is what the majority of other people are laughing the hardest at. But if you’re on live television, you know, you just—the Kathy Griffin thing, that’s a whole different ballgame. Larry King: What was she thinking? Larry King: Trump’s unpopularity is 60 percent. So you would think 60 percent of people would’ve liked it. Jeff Dunham: But you got the 40 percent that don’t. Larry King: Yeah, and that 40 percent is loud. Jeff Dunham: Yeah, and either way, if you don’t surround yourself with people that disagree with you, then I think you’re making a mistake. If you don’t surround yourself with people that disagree with you, then I think you’re making a mistake. So, I think you have to listen to both sides of it. If you have people around you constantly telling you, “You’re great, you’re great, this is going to be fantastic, yeah that’s a great idea,” then I don’t think you have all the right people around you.